ABUJA – THE presidency, weekend said that its achievements with the Social Investment Programme, SIP, was capable of attracting massive votes to President Muhammadu Buhari if he desired re-election. But the presidency also said that the essence of the programme was not for politics, rather to reduce poverty to the barest minimum and distribute wealth to the most vulnerable in the society. Briefing State House correspondents on the performance of SIP, Special Adviser to the President on Social Investment Programme, Mrs. Mariam Uwais said that already about 80 million poor people had been identified, but out of the number, 30 percent of it had been identified as the poorest of the poor. She said what her office first did especially on cash transfer was to get the target right in a transparent manner to ensure that only the poorest of the poor will be paid. She said, “It is important for us to get the targeting right so that only the poorest of the poor will get paid. We have according to the statistics up to 80 million people that are poor. And so, we had to device a strategy to ensure that we get the poorest and also insulate the process of getting to that poorest from any outside influence, whatever the influence maybe. “So what we do first is sign an MoU with the states. We have roles and responsibility for each state though we know it is not enforceable but we want both sides to know what their responsibilities are. “We select 30 percent because we had cash constrains, we couldn’t cover 80 million people that were poor. We now said we will start with 30 percent from each state, that comes to 30 percent of the poorest of the poor from each senatorial district. Working with NBS, we looked at local government that are the poorest in the senatorial district for a balance and we shared the names of the local government with the state, they signed off. “Then we ask the states to give us civil servants within their ministries of planning and with specific expertise because we want to build capacity for sustainability. “So those that know how to do survey, they know about gender and poverty and we select those we can work with. And then the local government staff we can work with. We train them using the Community Based Targeting Manual on how to identify poor and vulnerable household. “Our mandate is to be equitable, to go round the entire country and in every community we have poor people. We ask each community to define what poverty is according to their own context and we ask them which households in the community falls within the context. “Once there is a consensus that these people are poor, we visit those households with a device, because that gives us some objectivity in the process. Continuing on the journey so far, Mrs. Uwais said, “The Social Investment Programmes have achieved profound successes, so far. One of the most important aspects of the Social Investment Programmes are the millions of Nigerians who have and would benefit directly and indirectly from each of the various schemes. All our beneficiaries are being paid directly, with the BVN being an integral part of our design. “Today, we have recorded 7.9 million direct beneficiaries since inception and have a presence in the 36 states of the Federation and Federal Capital Territory. “In relation to our targets, we have achieved the following: Npower: 200,000 graduate beneficiaries are currently enrolled and working in various institutions around the country. “The selection of the next batch of 300,000 beneficiaries has been completed and those selected will be engaged in the next few months. 20,000 more beneficiaries in the non-graduate category are set to commence training in 34 States around the country, while we continue to audit the skill centres we can utilize in the remaining States. “The Humanitarian Hub in Adamawa State, supported by the ICRC, PCNI and NEMA, has already selected successful applications and is preparing for the first batch of pitches this Saturday, while the Lagos Climate Change Hub, supported by the World Bank and the LBS, will throw open it’s challenges in March 2018 The other 6 are situated in the 6 geo-political zones of this country and are at various stages of development. While fielding questions on what the government could leverage on as one of the biggest successes on SIP during campaigns, the Special Assistant to the President on Social Investment, Barr. Ismaeel Ahmed, said with the achievement so far, it was callable of attracting massive votes to President Buhari in 2019. Ahmed said, “I think even though this is a political promise, it came from a manifesto of a political party, the implementation is far from being just political, the implementation is for all Nigerians. “When we set out and were campaigning in 2015 we didn’t say what we are going to do is going to be solely for political reasons. The president and Vice President are more committed to the electorate rather than elections and are concern about the future rather than just next one year. “So this is entirely about the country itself and not just for political reasons. But, if you are talking about what we can leverage on, there are a lot of successes in SIP. We are engaging 73,000 cooks that are growing rural economy. They are buying from local farmers therefore this is growing the rural economy. “They are feeding some seven million and something children and we have reduced the number of out of school children in the last one or two years we have been implementing the school feeding Programme. “Engaging 200,000 young unemployed graduates that are receiving N30,000 a month. Those are successes in itself. So if we are looking for things to leverage on, stomp our chests and storm the political campaigns and say we should be voted again, we have a lot of success stories to tell but that is not the entirety and essence of this Programme. 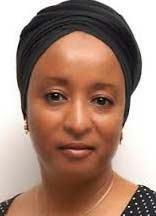 On her part again, Mrs. Uwais stated that her office was working with ActionAid known for reduction of poverty. She said, “We asked them to select independent monitors of the year from all the states so that they will monitor what we are doing because we aim at improving as we go along. We are working with the states. “But we will need to know if we are improving or not. ActionAid had done the selection about a year ago. Each NGO that has been selected has the track record, it also has affiliates of two community base per senatorial district. “What ActionAid is doing now is trying to conduct due diligence to ensure that they do have what they claim they have when they applied and were interviewed. Training commended this March for them. She said though out of the N500 billion budgetary allocation every year, in the past two years, only about 15 percent of the total sum was released, adding that there were promises from the minister of finance and the cash planning committee that the amount that will be given to them henceforth will be much more. The post 2019: Buhari’s achievements in SIP ‘ll earn him massive votes – Uwais appeared first on Vanguard News.